All you need to know about Buldhana, Akola, Amravati, Hingoli, Nanded seats in Maharashtra. 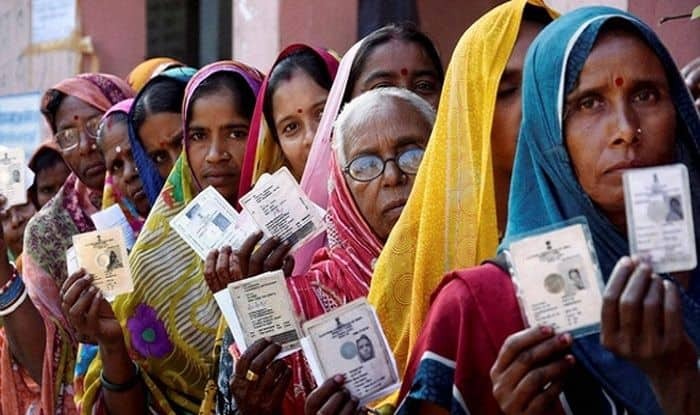 New Delhi: Buldhana, Akola, Amravati, Hingoli, Nanded seats in Maharashtra will vote in the second phase of Lok Sabha polls on April 18. The counting of votes will take place on May 23. Buldhana: This seat is currently represented by Shiv Sena leader Jadhav Prataprao Ganpatrao. In 2014 Lok Sabha polls, he had defeated NCP candidate Ingle Krushanarao Ganpatrao by less than one lakh votes. The Buldhana Lok Sabha seat is being held by the Shiv Sena, an NDA ally for the past four terms. For 2019 Lok Sabha polls, Sena has retained Prataprao Jadhav (Shiv Sena) and NCP has fielded Rajendra Shingane. Akola: Akola Lok Sabha constituency will witness a triangular contest between BJP’s three-term sitting MP Sanjay Shamrao Dhotre, Vanchit Bahujan Aghadi’s (VBA) Prakash Yaswant Ambedkar and Congress’ Barkatulla Patel. In 2014, BJP’s Sanjay Shamrao Dhotre had defeated Congress’ Hidayat ulla Patel by a handsome margin of over two lakh votes. Amravati: This Lok Sabha constituency is currently held by Shiv Sena’s Adsul Anandrao Vithoba. He had defeated NCP’s Navneet Ravi Rana. Amravati Lok Sabha constituency is considered a stronghold of Shiv Sena. For 2019 Lok Sabha elections, Sena and NCP have retained their last year candidates Adsul Anandrao Vithoba and Navneet Kaur Rana respectively. Hingoli: The seat is currently represented by Congress’ Rajeev Shankarrao Satav. In 2014, he had defeated Shiv Sena’s Wankhede Subhash Bapurao by a slender margin of 1,632 votes. For 2019 Lok Sabha polls, Congress has retained Wankhede Subhash Bapurao and Sena has fielded Hemant Patil. Nanded: Congress leader and former Maharashtra Ashok Chavan is currently representing Nanded Lok Sabha constituency. In 2014 Lok Sabha elections, Chavan had defeated BJP’s DB Patil by over 80, 000 votes.